Does technology put your health at risk? There are seven ways it could be. Light from your devices could impact your sleep and make you more hungry when you normally wouldn’t be. Eye strain, neck, and shoulder pain are common complaints of people who use computers for long hours. Use of social media and spending time surfing the net can create depression and anxiety in some people. Headsets, as great as they are, can contribute to hearing loss. The good news is that there are simple, inexpensive hacks to combat each of these problems so you can continue to use and benefit from all your technology. Can technology really put your health at risk? In the early 60s, The Jetsons, a space-aged cartoon pulled kids to television sets on Saturday mornings. The futurist gadgets the family used inspired wonder and possibilities. Today many technologies shown in the animation exist. Most of us own them and use them. They are a natural part of our lives. But does technology put your health at risk? Research seems to indicate it does. Listed are 7 ways digital technology may destroy your health. All 7 lead to rising costs of healthcare. But we’re giving you 7 easy prevention hacks, too. Implementing all of them can safeguard your physical well-being. Being fully present during your waking hours means nabbing at least eight hours of sleep. However, many of us only grab six hours or less. The presence of digital technology in almost every room of the house discourages sleep. Bright light interrupts sleep patterns because it reduces the amount of melatonin the body produces. Without melatonin, you remain alert. In turn, this shifts your body’s natural sleep rhythms, keeping you tossing and turning. Night-lights, television light, or the glow emitted from your digital clock all contribute to sleep deprivation. Using a night mask is an excellent way to block sleep-impairing light. If you don’t like anything covering your eyes, try leaving your phone or laptop in another room at bedtime. Make your bedroom a device-free zone. Turn off the television before burrowing under the covers. Both actions are quick, no-cost steps you can take to catch an extra hour or two of sleep. The same light that disrupts sleep also makes you hungry. So when working on digital devices, there’s a tendency to snack. Eating while sitting at a computer may cause you to snack more, especially if you’re looking at pictures of food. In 2014 Stanford University conducted a National and Nutritional Examination Survey. Researchers found that the percentage of inactive women in American rose from 19.1 to 51.7 between the years of 1994 and 2010. During that same time, the rate of inactive American men rose from 11.4 to 43.5 percent. With the increase in device use, that number could get higher. Not even today’s technology has found a way to burn excess calories without exercise. Sitting more and moving less almost always results in weight gain. Flip your technology into a healthcare benefit. Hundreds of exercise routine apps are available on smartphones. Finding one that fits your personality and activity preferences, even if you travel a lot, is easy. The routine doesn’t have to be difficult or take hours of time. Thirty minutes a day can make improve your cardiovascular health more than you think. Through trial and error, you can find a favorite exercise app at zero to no cost. By offsetting some of your screen time with movement, you’ll be able to lose, or at least stabilize your weight. Most people spend five or more hours a day viewing digital screens. Did you know you forget to blink when working at a computer for extended periods? Research studies reveal blinking occurs ten times less than usual when sitting at a computer display. Lack of blinking deprives your eyes of necessary moisture. Almost 7 out of 10 Americans who routinely use computers complain of eye irritations. Signs of strain include dry eye, burning, itching, and even blurred vision. Although most symptoms are temporary, they are uncomfortable and can lead to headaches. Try these quick fixes. Adopt a 20/20/20 system. Set your smartphone for a 20-minute time block. When it buzzes, look away from your computer. Focus on something 20 feet across the room for 20 seconds. Then return to work and repeat the cycle. Another helpful activity is intentional blinking. Train yourself to blink, using your breathing pattern as a reminder. Blinking goes a long way toward keeping your eyes moist and pain-free. Most of us know leaning over laptops, smartphones or tablets for extended periods tightens the muscles between the shoulders. Even something as simple as tilting your head pulls tendons and ligaments in your back and neck. An average adult head weighs anywhere from 10 to 12 pounds. When tilted toward a computer even 15 degrees, that weight increases to 27 pounds. If you bend it at a 30-degree angle, your back and neck support 40 pounds. Multiply that by five or more hours a day, and it’s not surprising many people go to the doctor for neck, back, and shoulder pain. You can combat any pain, and even any poor posture working at a computer creates. When walking, pull back your shoulders and stand as straight as possible. Or, when you’re taking a vision break, shrug your shoulders. Moving your muscles in a different direction keeps you flexible and loose. Lastly, stretch your muscles by tiptoeing the fingers of each arm as far as you can slowly up a door jam. Do the same on the other side. The stretch feels amazing. Does digital technology cause depression? Some research indicates it does. Other research suggests people who are lonely and possibly depressed, use digital technology more. In this case, digital technology primarily refers to social media outlets. If you suspect your online time lowers your mood, ask yourself some simple questions. Do you feel sad, annoyed or even angry after reading postings? Does your body feel sluggish or tired when you’re interacting with sites? Do the lives of other people seem better than yours? If your answers are positive, they may suggest the amount of time you spend engaging in social media negatively impacts your mood. The fix is little digital detox. Reduce the amount of time you spend reading posts. Another way is to “unfollow” people who are consistently negative. Avoid videos seeped in anger and other negative emotions. Verbal aggression, even on screen, can pull down your mood. The good news is that you have 100% control over your screen time and what you read or watch. By absorbing less, your outlook could improve. And you may find you have more energy and time to do other things that interest you. 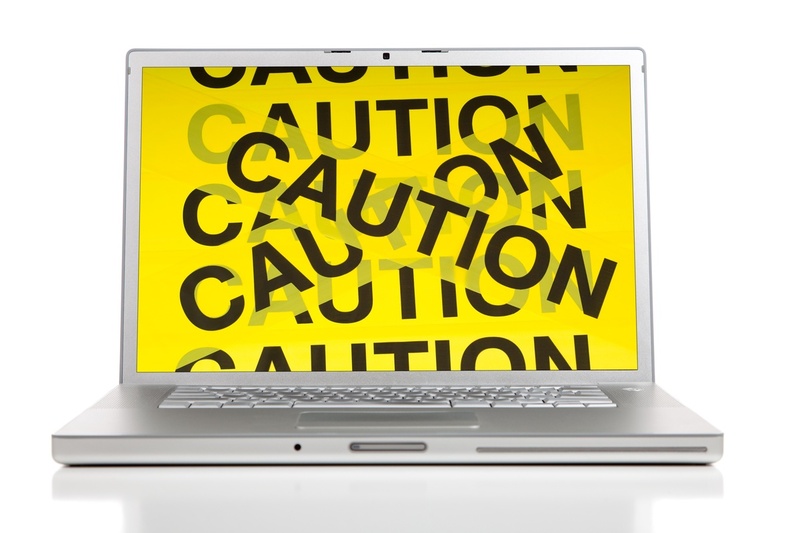 Although the Internet provides a lot of useful information, can it put your health at risk? It can, especially if you are self-diagnosing suspected medical problems. If you suspect something is amiss within yourself, a family member, friend, or pet, avoid rushing to the computer to look up symptoms. Researching medical difficulties is rarely a good idea for two reasons. The first is, if you don’t find the symptom(s), you may assume you’re fine. That could be true, but what if you’re not? On the other hand, what you learn could lead you to believe something is very wrong – even if you’re fine. Your stress and anxiety will increase because the human tendency is to conclude the worst. If you think you are ill, take two simple actions to prevent excessive anxiety and possible panic. The first is: don’t research your symptoms. The second is: call your primary care provider and make an appointment for a proper diagnosis. The number one cause of hearing loss in America is excessive noise. According to the Hearing Health Foundation, the number of Americans experiencing hearing loss doubled between the years of 2000-2015. Sixteen percent of our teens complain about hearing loss. 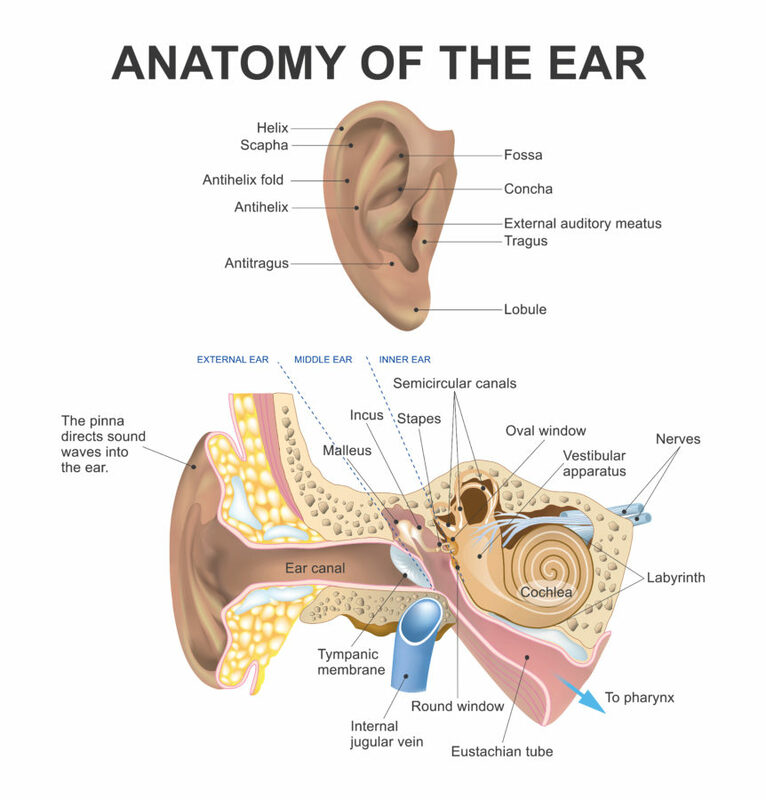 Too much noise directly into your ears can cause damage to tiny hair cells inside the inner ear. These hair cells do not repair themselves, creating an irreversible hearing loss. Headphones are the primary culprits. Headsets for your computers, phones, and tablets direct all noise (no matter how much we enjoy the content) straight into your ears. They amplify sounds up to and above 85 decibels, which deteriorates your hearing. The prevention hack here is “noise-canceling” headsets. Simple earbuds can’t drown out sounds around you. So there’s an inclination to crank it up. From a healthcare standpoint, that means it’s probably too loud. Older, earmuff style models block out background noises and lower the volume. They may be big and a bit cumbersome, but they protect your hearing better. Regardless of the headset you use, ensure your volume is set to a reasonable level. And take regular breaks from your headphones. Don’t let technology put your health at risk. Protect your health from these 7 digital challenges with a few simple healthcare hacks. Then enjoy your technology without sacrificing your well-being. Interested in becoming a healthcare professional who treats some of these digital technology side effects? Perhaps an orthopedic doctor, ENT (otolaryngologist) or audiologist. What about an ophthalmologist? Read How to Become a Medical Doctor (General Practitioner). If surgical technology sparks your interest, read Becoming a Certified Surgical Technologist. Why not start your medical career right away? 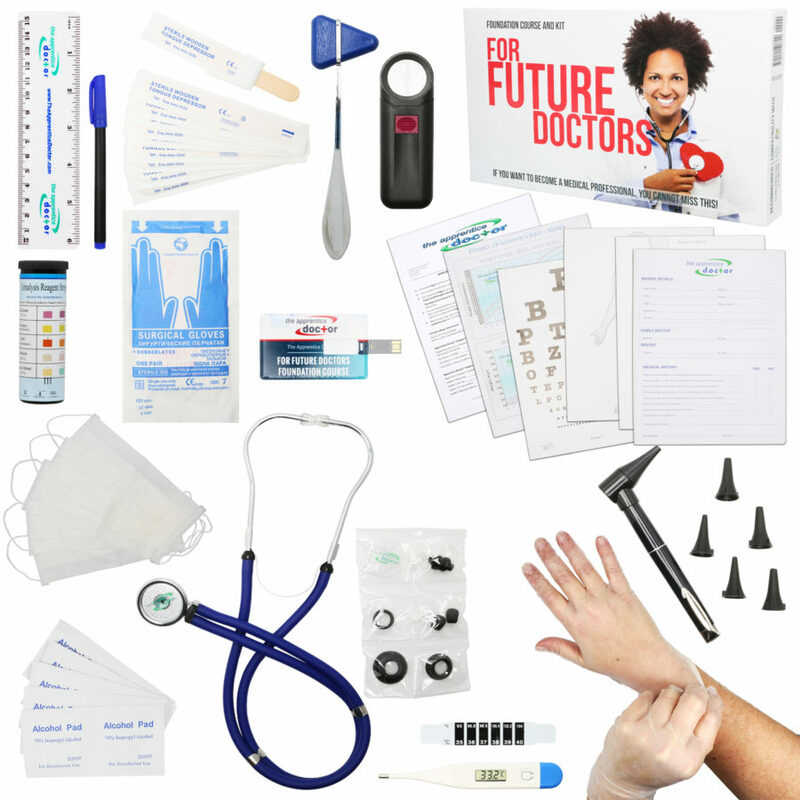 For those of you who’ve decided the healthcare field is right for you, enhance your skills with one of these kits. 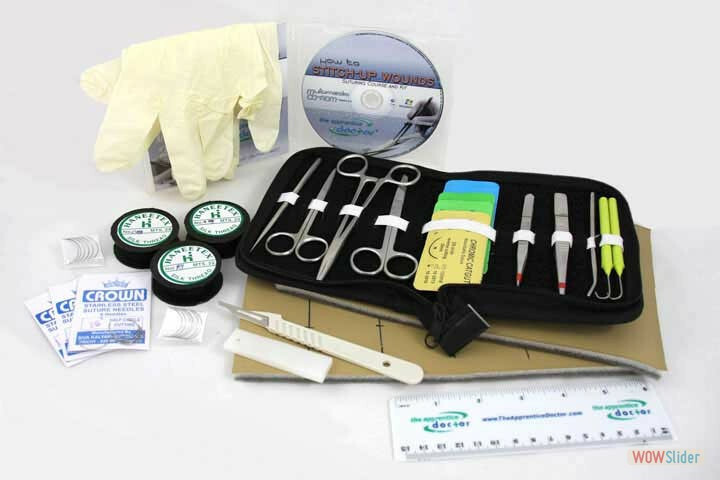 The Apprentice Doctor® Suturing Course and Kit is a resource that will teach you How to Suture Wounds in a couple of hours! If you want to become a Surgeon or other medical professional – why not learn how to suture wounds now?